The Clemson Tigers are fresh of the 2018 season where they won the College Football Playoff National Championship. It is their second title in three years, and there is no reason on the surface for any major program changes. But head coach Dabo Swinney wants to add another rival to his schedule, one that could hypothetically challenge the likes of the Ohio State-Michigan and Auburn-Alabama for the nation's top annual rivalry. 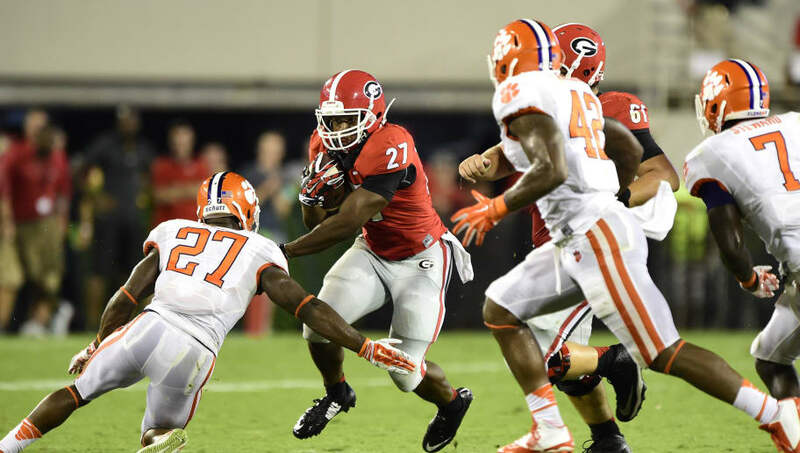 Clemson and Georgia last played to open the 2013 and 2014 seasons, with the former resulting in a Tiger win at home and the latter being a Bulldog victory between the hedges. But things were absolutely different then; both former powers were on the downturn of their tenures atop the sport. The tide has majorly turned since then. The two teams are set to renew the series for a home-and-home for the 2032 and 2033 seasons. But for those looking for a quicker restart to what can only loosely be called a rivalry at this point, fans on both sides will have to rally behind Swinney's idea. Clemson already has an in-state, non-conference rivalry with UGA's SEC East rival South Carolina. It has not been made clear if that rivalry would stand if any deal is reached between Clemson and Georgia. If the Tigers maintained both rivals, it would leave them with only two additional non-conference games per season, with one of those games being taken by Notre Dame approximately one-third of seasons moving forward.